A "Smart" License Plate: To Buy or Not to Buy? Digital plates are rolling out in California. The question is if they're worth buying. Los Angeles traffic is notoriously maddening. I should know — I’ve lived in this city for nearly a decade, and I’m barely hanging on. Elon Musk was so fed up by L.A. traffic he literally started a new company just so he could avoid it. At this point, I’m ready to try anything — anything — that could make owning a car in this city I love dearly not be just a little less terrible. Could a digital license plate be that thing? Now I, and number of my fellow Californians, have the chance to find out. 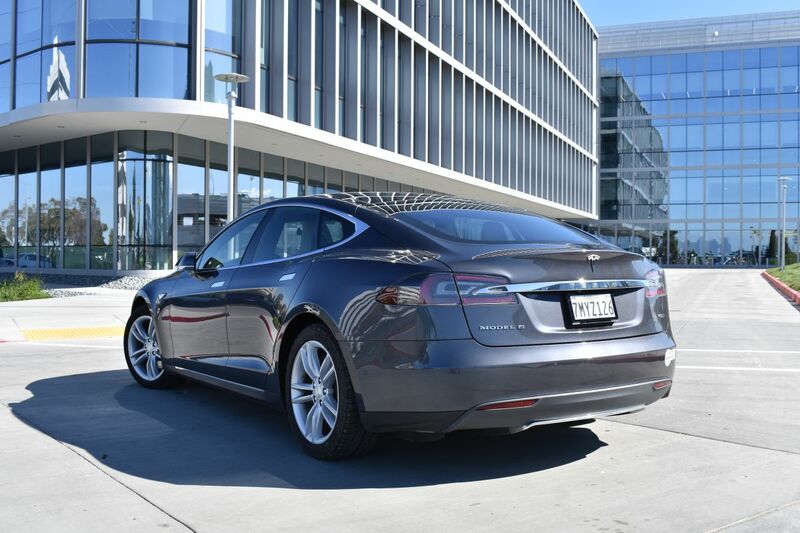 Auto tech company Reviver Auto is now selling its digital license plate, the Rplate, at select California dealerships, including a few in the L.A. area. The plates are roughly the size of a standard license plate, but look more like a iPad. They cost about as much as one, too: $699 plus installation and a $7 monthly fee. So, how might this expensive, high-tech license plate improve upon the standard sheet of metal? According to the Reviver Auto website, Rplates do far more than simply display a license plate number. It registers your car automatically — no more need to renew online and add a new sticker to my license plate (saving me roughly 2 minutes per year)! It could track my car if it gets stolen! (something I’ve had to deal with… never). I could personalize the display while my car is in park! I guess that would be cool, if bumper stickers didn’t exist. Well, hey, here’s something that would actually make my life easier on the road: the Rplate can automatically pay tolls or parking fees, both commonplace driving annoyances. But that feels like an awfully small convenience for the $700 or more I’d have to pay upfront. I’d also have to give up some of my privacy. One of the Rplate’s major perks, at least as far as businesses or other organizations are concerned, is its tracking ability. Affix the digital license plate to a company car, and you’ll always know exactly where your employee goes. Supervisors could even receive a notification if the car travels off a designated route. And that reveals a lot more about employees’ lives than just where they get coffee in the morning. “Your locational history…can reveal your associations, who you speak with, where you go to work, where you live,” Stephanie Lacambra, an attorney for the Electronic Frontier Foundation, told the San Francisco Chronicle. “It’s still not clear where all this information is going, how long it’s stored, or who has access to it.” Reviver’s CEO told the Chronicle that users can turn off the Rplate’s location tracking. 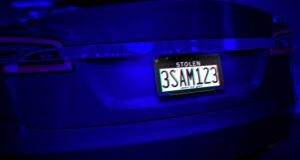 Hackers might also be particularly interested in the Rplate — after all, the gadgets need some sort of access to your bank account information in order to pay those registration fees and road tolls. So far, there’s nothing to indicate that Rplates would be any more vulnerable to hacking than any other device or web site that has your bank information. But since at least half of U.S. businesses get hacked, only time will tell whether Rplate is immune. In the end, we’re left with a tablet-like gizmo that would save me a couple of minutes each year while doing little to improve my everyday driving experience. For me, at least, it’s not such a great deal. Hey Elon, how are those underground tunnels coming along?